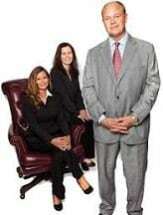 Pete Olson began practicing law in 1991. Mr. Olson's practice is limited to representing injured persons, and handling wrongful death cases. Mr. Olson has helped more than one thousand persons obtain favorable settlements and trial verdicts in cases involving the following: Injuries to Children, Birth Injuries, Car Wrecks, Tractor-Trailer Wrecks, Motorcycle Wrecks, Wrongful Death, Medical Malpractice, Pharmaceutical and Medical Device Injuries, Slip and Fall, Dog Bits, Workers Compensation, Sexual Harassment, Social Security Disability, Federal Tort Claims, and Insurance Bad Faith Cases. Mr. Olson has previously represented people and tried many cases involving other areas of the law, including, but not limited to first degree murder and other felony criminal cases, civil defense work, representation of professionals before disciplinary boards, arbitration proceedings involving both injured individuals and claims of professionals, divorce and child custody. However, Mr. Olson has found the greatest reward comes from helping people who have suffered harms and losses due to no fault of their own. Thus, many years ago Mr. Olson dedicated his law practice solely to helping injured persons, and their families. Mr. Olson has recovered millions of dollars to help his clients, including multi-million dollar settlements and trial verdict. Mr. Olson is proud of his work to help his clients offset the financial hardships that follow injuries and deaths. For Mr. Olson, representing injured people requires much more than just recovering money. His goal is to improve people's lives, by bringing greater awareness to safety issues, and prevention of injuries. Mr. Olson has two children (Michael & Maggie). College: Austin Peay State University, B.S., 1988.